Pvt. G. C. Laney, Jr., son of Mr. and Mrs. G. C. Laney, Jean, husband of Mildred Burkhalter, graduate of Olney High. 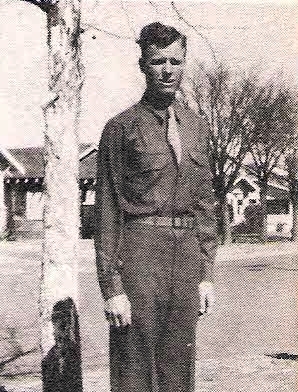 Entered Army in 1942, trained at Sheppard Field, Texas. Discharged in 1943.